Every organ, tissue and gland in the body is reliant on a pure bloodstream to carry oxygen and nutrients to our cells, and to remove toxins, cellular wastes and metabolic by-products for our organs of elimination to excrete. Therefore, it makes good sense to cleanse our bodies of these toxins at least yearly. Poor dietary and lifestyle choices result in toxic, acidic bodies which are unable to work efficiently or optimally. Many health problems such as headaches, aches and pains, constipation, IBS, body odour, skin problems, depression, lowered immunity, fatigue, and weight problems are symptoms of internal toxicity. By ingesting small amounts of nutrient-dense and alkalising foods, your body will be able to “throw off” old cellular wastes, acids and toxins. These wastes are then deposited in the bloodstream, which carries them to the liver to be filtered and broken down, before being removed through the kidneys and colon. Over 80% of the energy expended daily by our bodies is spent on the digestion, absorption, and assimilation of food. By reducing your food consumption whilst cleansing and only eating foods that the body can easily assimilate, your body will be able to divert the energy normally used to digest food, to the processes of detoxifying and rebuilding your cells. A detox is not complete without colon cleansing to remove the wastes that can potentially re-toxify the body if they are not excreted quickly and efficiently. With colon cleansing we effectively “unblock the drain”, which allows all the other organs of elimination to empty and work more effectively. It also triggers a strong detox response in the liver-our most important organ of detoxification. A properly functioning digestive system allows for better absorption of all nutrients in the bloodstream which equates to higher energy levels, improved concentration and balanced emotions. Every tissue in the body is fed by the blood, which is supplied by the bowel. 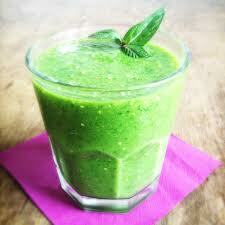 Fasting with fresh cold press juices rejuvenates the cells as they are fed with living enzymes and nutrients. Living juice and living foodsare alkaline foods and a diet of at least 80% alkaline foods is recommended. The water drunk by most people throughout the world today carries more toxic elements into their bodies than it washes out. Typical tap water contains chlorine, fluoride, aluminium, and a variety of heavy metals such as lead, cadmium, and nickel. This is “dead” water, killed by chemical additives and acidic elements, not the “living” water the body requires to function properly. Bottled water is not much better and is an expensive, environmentally-irresponsible alternative. What the body really needs is pure, filtered water which is free of contaminants, and which is preferably alkalised or ionised. Alkaline water neutralises acids in the blood and tissues and carries them away for excretion. It also provides beneficial alkaline minerals to nourish all our cells. Ionised water (water that is charged with negative ions), is a potent antioxidant and scavenges free radicals in the body which prevents degenerative damage to the cells and tissues. The presence of negative ions also neutralises toxic substances in the bloodstream and flushes them out of the body, therefore assisting with detoxification. First thing every morning upon rising, drink two classes of pure water to flush mucous and acids from the stomach, alkalise the bloodstream, and rehydrate your cells and tissues. To make this even more effective you can add the juice of half a freshly squeezed lemon to the water which will stimulate the liver and bowels. Our bodies, bloodstream and most other body fluids should be slightly alkaline and well oxygenated. An acidic, poorly-oxygenated body allows bacteria, viruses, fungi, other microbes and cancer cells, to invade and breed inside the body. Virtually all germs that infect humans are anaerobic, which means that they thrive in oxygen-deficient environments, such as toxic tissues. Apart from water, the next best way to alkalise the body is through the diet. For optimal health and especially whilst cleansing, our diets should consist of approximately 80% alkaline foods and 20% acidic foods. You should start to reduce all acid-forming foods and beverages a week or so before starting your cleanse to give your body time to adjust to these changes, and to reduce or avoid any unpleasant withdrawal symptoms. All animal products are very acidifying to the digestive system and bloodstream, and produce putrefactive protein wastes in the bowels, so must be eliminated during a cleanse. This includes: meat, fish, eggs, and all dairy products-including those made from sheep and goats. Grains should be kept to a minimum, be organic and eaten only in their ‘whole’ form. Avoid all refined white flour products such as bread, pasta, pastries, biscuits, and crackers which are highly acid-forming and burn up a great deal of energy and enzymes with digestion. All wheat products should be eliminated completely as they are very acid-forming and causes allergic reactions for many people. Better choices are: brown rice, millet, buckwheat, quinoa, spelt, barley, and rye. Grains can be soaked overnight in pure water and sprouted which makes them alkaline-forming and transforms them into ‘live’ foods full of beneficial nutrients and enzymes. Raw nuts and seeds are excellent sources of vegetable protein but make sure you pre-soak them overnight in water to make them easier to digest, and boost their nutritional content. Like grains, most nuts and seeds are acid-forming in the body so should be kept to a minimum whilst cleansing. The only exception is almonds which can be eaten freely. Avoid sugars, caffeine, and carbonated drinks which are all acid-forming and which also leech calcium from the bones and teeth. All processed, packaged foods must be avoided also as they contain preservatives, additives, colourings, flavour enhancers, artificial sweeteners, and dyes which are extremely acidic and detrimental to your health, with some being known to cause cancer. The majority of the diet should consist of fresh fruits and vegetable which are cleansing, alkalising and high in essential nutrients and antioxidants. Make sure they are organically grown and free of chemicals, pesticides, non-genetically modified, and non- irradiated. Fruits have primarily cleansing and purging properties, while vegetables are mainly curative and regenerative. Fruits require almost no digestion whatsoever in the stomach and move quickly into the small intestine where their nutrients are assimilated and released into the bloodstream as food for our cells. Only fresh fruits should be eaten as dried fruit has a higher sugar content and fewer enzymes due to the dehydration process. The best choices for cleansing are citrus fruits and semi-sweet fruits such as apples, pears, watermelons, cherries, black grapes, and papaya. Fruit can be juiced, blended with water and ice, or eaten whole. Citrus fruits, which are acidic before being eaten, actually become alkalising once they come into contact with our digestive juices. But they must be eaten separately from other foods, including other types of fruit otherwise they can ferment in the digestive tract and form acid wastes. The fewer your choices of fruit, and the more simply you combine them, the better they will work to purify your blood, detoxify your tissues, and cleanse your digestive tract. The best choices for vegetables are those that cleanse and heal the body, whilst delivering optimum nutrition and are easy to digest. This includes: sweet potatoes, yams, squash, pumpkin, carrots, beetroot, cabbages, celery, parsley, broccoli, cauliflower, and all dark leafy greens. Onion, garlic, ginger, and sea salt all have powerful cleansing and curative properties and can be added to meals and juices also. Eat your vegetables as a boiled broth, steamed, stewed, stir-fried, or as a raw salad or vegetable juice. Fluids are particularly important during a cleanse to flush toxins out the kidneys, purify the blood, rehydrate the cells, and replenish bodily fluids. You should aim to drink 6-8 glasses (1.5-2 litres) of pure water daily. In addition to water you can consume herbal teas (green, sage, dandelion, peppermint, lemon, and ginger teas are great), blended fruit drinks (frappes), raw fruit and vege juices, and vegetable broths. Generally speaking, the more fluid and raw a food is, the more nutrient-dense the food. Try to eat at least 50% of your foods raw or very lightly cooked. Live raw foods are full of active enzymes, vitamins, minerals, essential fatty acids, and amino acids, which help eliminate toxins, cleanse the tissues, and provide the body with all the nutrients it needs to function effectively. They are also high in fibre so they help with clearing wastes from the bowels. For more information on the benefits of eating raw foods and for some tasty recipes check out our Recipes. Many ancient cultures understood the importance of sunlight and how it could be used to purify, heal, and rebalance the body. Unfortunately today with the ever-increasing rates of people getting skin cancer, many people avoid the sun or cover their bodies with sunscreens made from cancer-causing chemicals. Sunlight stimulates the production of pituitary hormones and neurotransmitters which nourish our brains, nervous systems, regulate our hormones, and boost our immune systems. It also increases serotonin production which is the “feel good” hormone which helps prevent depression. We are all aware of those countries in the Northern hemisphere where there is only a few hours of sunlight each day in the winter months and the impact that has on the lives of the people living there. By midwinter, these countries experience a significant rise in deaths due to disease as well as suicide. Sunlight also stimulates the tissues below the skin to produce vitamin D which helps us assimilate and utilise calcium in the body. Calcium is not only necessary for strong bones and teeth, but it is the body’s most powerful and abundant alkalising agent. Vitamin D supports our immune systems and helps with the absorption of many other vital nutrients required by the body. Obviously we need to be sensible about the amount of sunlight we receive to avoid burning of our skin and damage to the epidermis. Aim to get at least half to one hour of direct sunlight a day before 11am or after 3pm-preferrably without too many clothes on and not wearing sunglasses. Fresh, clean air is equally important to our health as is good food, pure water, and sunlight. Air contains essential elements (such as oxygen) that are vital to our health and well-being and most people aren’t getting enough of it due to air pollution, spending too much time indoors, and not breathing correctly. Oxygenation is one of the main ways of restoring pH balance to the blood and tissues, and the best way to do this is to learn to breathe using the diaphragm rather than the upper chest to draw air into the lungs. In addition to learning how to breathe correctly and practicing deep breathing exercises, as you do in yoga and tai chi, you can also oxygenate bloodstream by taking various types of oxygen supplements. A couple to mention are: water oxygenated with ozone, a few drops of hydrogen peroxide in a glass of water, and ionised alkaline water. Nothing beats breathing in some clean air at the beach or in the mountains though and immersing yourself in the beauty of nature at the same time!